Knowing is only half the battle. So what’s the other half? Remember the public service announcements at the end of G.I. Joe cartoons in the 80s? If knowing is half the battle, what’s the other half? Our friends at Nerduo have the answer, in t-shirt form: lasers! Today the little Russian film camera with a big cult following, the Lomo LC-A, or Lomo Kompakt Automat, celebrates its 25th birthday! Originally designed as a cheap, durable camera for the Russian market, it quickly gained popularity in the communist East. By the 1990s, however, its popularity had waned because of cheaper and smaller cameras coming in from Asia and production ceased. Fortunately, at about the same time, a bunch of students from Vienna discovered the LC-A while in Prague and started bringing a load of them back. As popularity for the camera increased in the west The Lomographic Society was born and production started again at the original Lomo Optics factory in St. Petersburg. 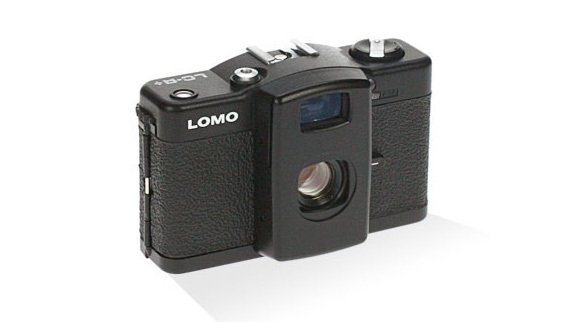 In 2005 the Lomo Optics factory closed (for good this time) and the life of the original LC-A ended. The Lomographic Society re-launched the LC-A as the new Chinese-built LC-A+ (which included a few extra features like a multiple exposure switch, more ASA settings and a cable-release button) and later introduced the LC-A+ RL which re-introduced the original Russian-built Minitar lens instead of a Chinese one and the cult following continued… albeit at a higher price! To celebrate the anniversary, Lomography.com have 25% off all Lomo LC-A+ cameras and 10% off everything else on the 17th June only. Take your LOMO everywhere you go. Use it anytime – day or night. You don’t have to know beforehand what you’ve captured on film. You don’t have to know afterwards, either. Don’t worry about the rules. For thousands of great Lomo photos, check out the Lomo Flickr group pool or the lomography.com member gallery. Check out this absolutely awesome t-shirt from The Internet’s Penny Arcade. We understand that with the lightning fast pace of today’s digimal world, generating the proper Internet truncation can be a difficult process. Everything is moving so quickly and you’re not even sure what they’re even talking about. You thought everyone was talking Portal, and now it’s all pictures of cats. With the power of our iWeb Conversator, you need not fear. Any response you select will be absolutely appropriate in every circumstance. Apple have just announced, as many have predicted, the iPod Touch. Basically an iPhone without the phone. It comes in 8Gb and 16Gb flavours (which is far too small a capacity for me to even consider buying — I have enough trouble with 60Gb!) and has built-in wifi for browsing the web and spending your hard-earned cash at iTunes while you wait for your delayed train (or while at their new friend Starbucks’ place). Still, it looks cool. If you want more geekery, Engadget have a hands-on with both the iPod nano and iPod touch. Musician and friend Andy Fosberry, the guy behind Ironlight River, has just (well, a couple of weeks ago!) 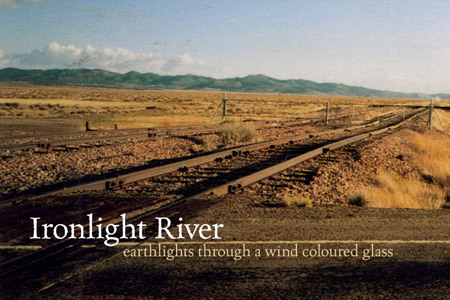 released his very first EP, “Earthlights Through A Wind Coloured Glass”. Check out the tracks for yourself on his myspace page. Update: You can now also buy a real life physical CD version via Made to Order Records for a very reasonable £3.